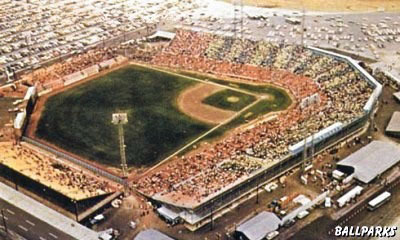 Which major league team once played its home games in this ballpark? 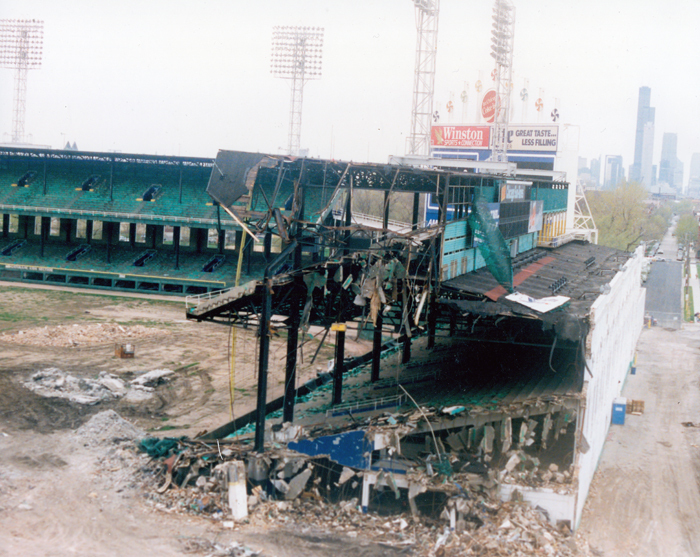 Which major league ballpark is being torn down in the picture below? 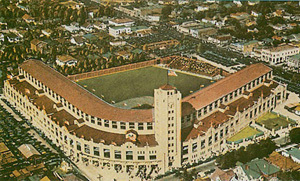 What team played its first major league games at Wrigley Field, pictured at the right? Match each team with its home park. Match the feature below with the stadium at the right. Since it was 457' to CF, batting cage was kept there in fair territory. Hank Aaron Stadium is located in what minor league city? Which major league team once played in each of the stadiums? The Polo Grounds (in the distance) and Yankee Stadium (foreground) faced each other across what river in New York City? When the new Minnesota Twins stadium opened in 2010, what stadium became the only one that is used for both major league baseball and NFL football? Camden Yards in Baltimore is located two blocks from the birthplace of what famous player? Which major league team played its home games in each of these stadiums? Which baseball parks contain or have contained these features? An American League and a National League team annually meet in the Hall of Fame exhibition in Cooperstown NY in conjunction with the induction of new members into the Hall. What is the name of the baseball park where the Hall of Fame game is played each year?